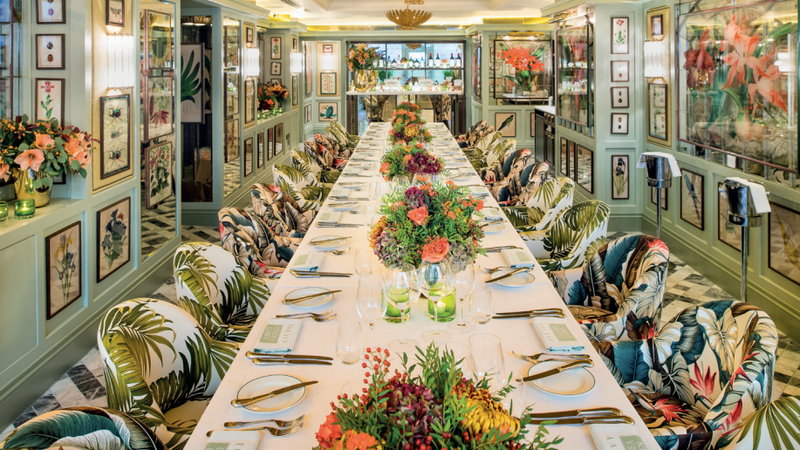 Private dining rooms have always been a favourite of event planners as they can not only provide intimate setting but also make it easier to design a personalised experience. Each private dining is unique and caters to different events depending on ambience, menu, and location. 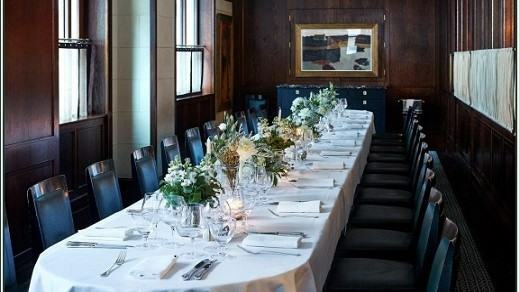 London offers numerous hotels and restaurants with private dining rooms. But which are the best for your occasion? 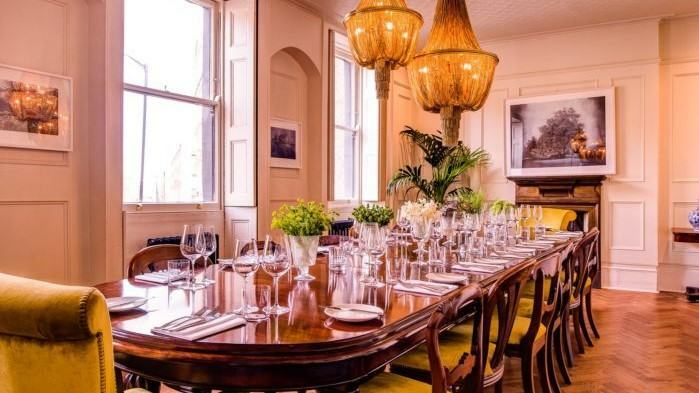 To provide us with a list of the best private dining rooms in London, we interviewed Jessica Circi, the Co-Founder and Managing Partner at The Ortus Club, an international marketing company specialised in hosting intimate executive dinner discussions. They organise executive knowledge sharing groups worldwide for senior peers to come together and discuss topical issues within their sector. To ensure an intimate atmosphere, Ortus hosts events in the best private dining rooms around the world. The views and opinions expressed in this piece are those solely of the author and do not necessarily reflect the position of Printsome as a whole. Located in the heart of London, The Ritz showcases Britain’s rich tradition and remains till this day one of the top hotels in the country. With 112 years of history, they are able to provide quality service to both local and international guests. Worth noting is that they are the first and only hotel in the UK to hold a Royal Warrant of Appointment for banqueting and catering services. The Ritz’ private dining rooms feature detailed Renaissance-style decor and are located inside a restored historic mansion called the William Kent House. 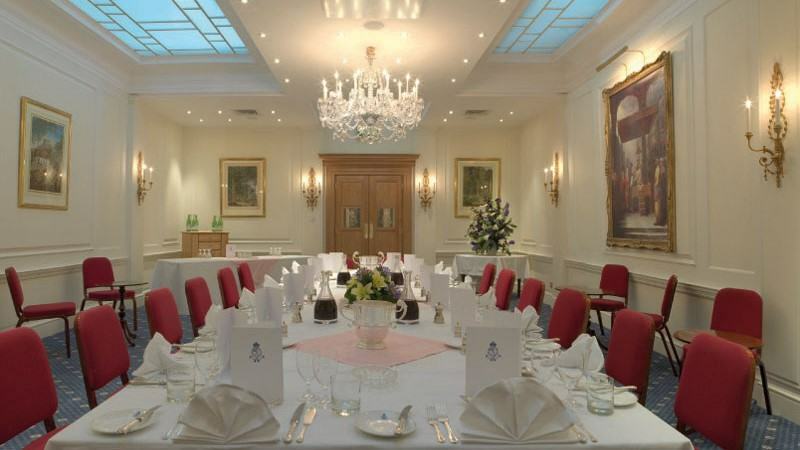 With its exquisite and elegant history and service, This hotel is surely the best place to host a private dining event if you want to come across the royal experience. 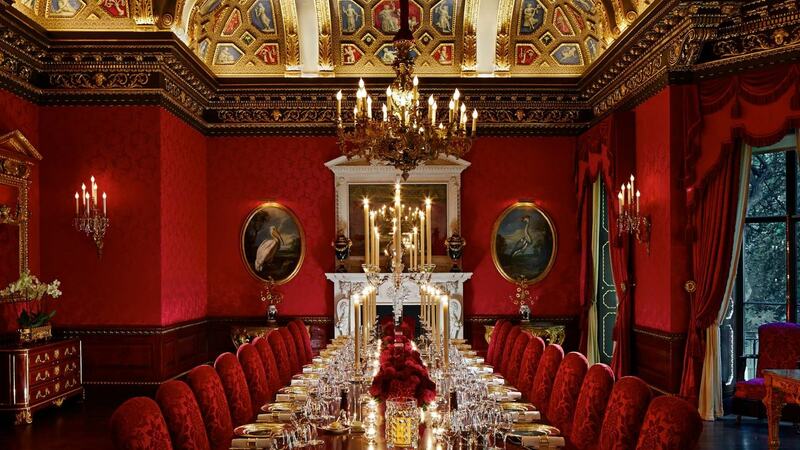 For reservations, send an email to reservations(@)theritzlondon.com or contact +44 (0) 20 7300 2222. Known as the ‘gentleman’s home from home,’ the East India Club has been in the heart of London’s clubland for many decades — since the 19th century to be precise. Guests have a grand total of five meeting rooms and six dining rooms to choose from. And they’ll be more than happy to host anything from an intimate dinner for two people to a banquet of 120 attendants. 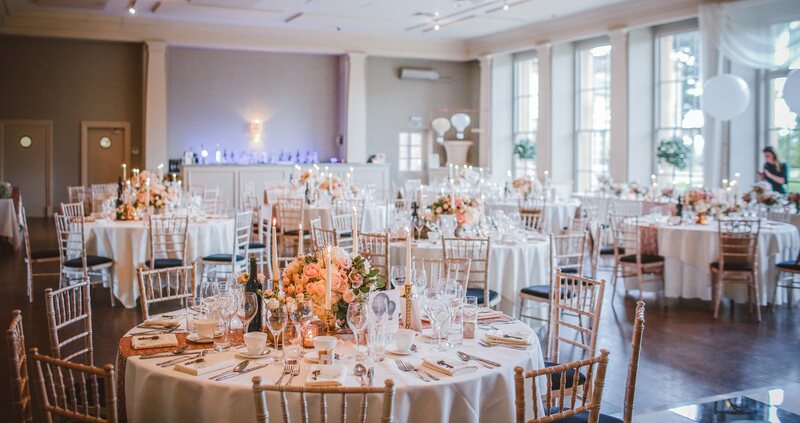 If you’re looking for a venue with a traditional vibe then this is the perfect place. For reservations, send an email to banqueting(@)eastindiaclub.com or contact 020 7915 2702. Considered as a versatile venue for different types of events, The Ivy Chelsea Garden features a main restaurant, garden, orangery, and an impeccable private dining room. The jewel of the crown, though, is a private room decorated with vintage botanical prints and floral artwork. This is a colourful option, perfect for those looking for something different. For reservations, send an email to India Mackean at indiamackean(@)theivychelseagarden.com or contact 020 3301 0300. Right on the corner of Aldwych & Drury Lane lies The Delaunay. A restaurant which exudes a simple yet sophisticated atmosphere. Their private dining area is one story above the restaurant and features great views. It is also equipped with a plasma screen for business purposes. For reservations, send an email to info(@)thedelaunay.com or contact 020 7659 9316. 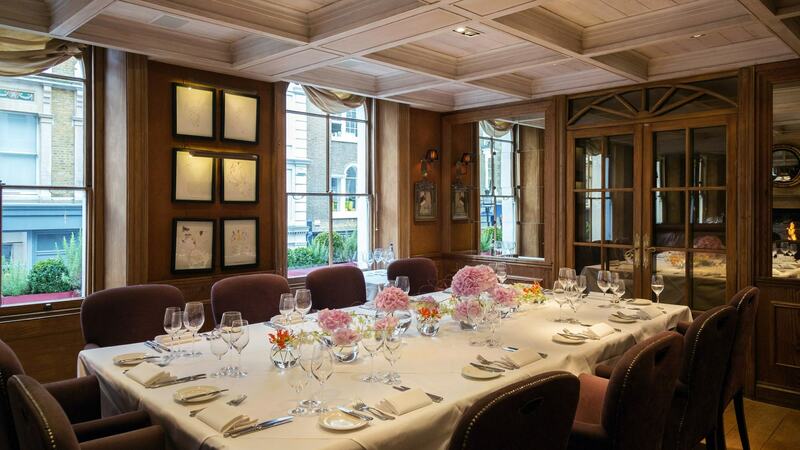 At the heart of Covent Garden, Clos Maggiore serves as an ‘oasis of calm’ in the middle of a hectic metropolis. Thanks to its intimate decoration inspired by the country inns of Provence and Tuscany, this restaurant has been voted the ‘most romantic’ in the world. For special celebrations, gathering, or events, they offer a private dining room with an inviting atmosphere. On top of that, Close Maggiore offers an events team that help anyone design a perfect occasion. For reservations, send an email to enquiries(@)closmaggiore.com or contact +44 (0)20 7379 9696. Since 1995, the Soho House has been operating for people in the creative industries with its restaurants, cinemas, workspaces, spas and bedrooms around Europe and North America. For numerous private dining room options, the Soho House offers different, beautiful spaces that can adapt to different types of events. Each space has a unique theme which can adapt to most situations. For reservations, contact +44 (0)20 300 600 76. 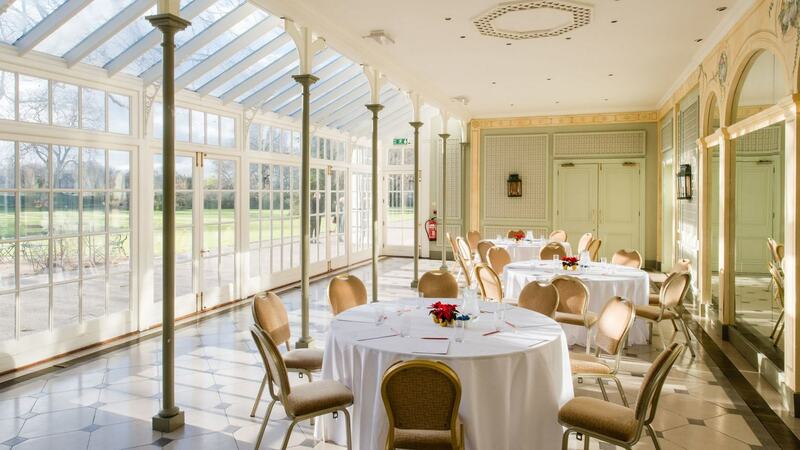 With 42 acres of magnificent ground, the Hurlingham Club is the perfect place to hold an amicable and peaceful occasion. It is known for offering first-class sporting and social facilities. 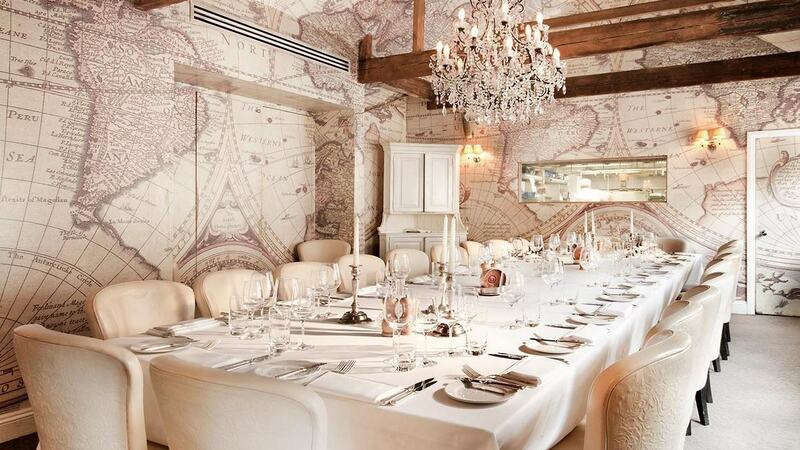 This venue’s private dining rooms have been decorated in a traditional English fashion and are perfect for a day event. For reservations, send an email to events(@)hurlinghamclub.org.uk or call 020 7610 7526. 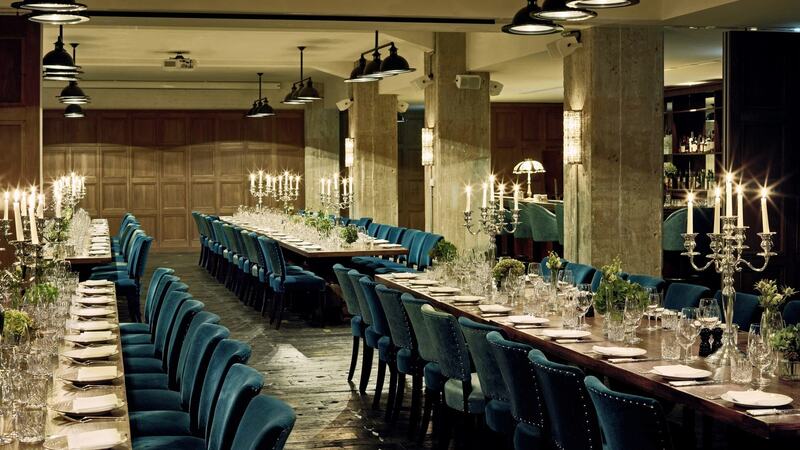 If you are looking for a unique and luxurious private dining room, The Harcourt would be the ideal choice. They pride themselves in their Scandinavian heritage and — of course — the restaurant can be found in Marylebone Village, also known as Little Sweden. Each private dining room features the 19th-century theme that the restaurant is known for but, at the same time, are different from each other. With its oak panelling and leaded windows, ‘the Swedish pub’ is sure to deliver a one-of-a-kind experience with a Scandinavian touch. For reservations, send an email to bookings(@)theharcourt.com or contact 020 3771 8660. From the situated bars to deciding between a pizzeria or a brasserie, the Mews of Mayfair offers its guests a variety of options. Tucked away in Lancashire Court, this venue is known for its unique experiential dining experience. The ambience and culinary innovation make it stand out from other restaurants in London. 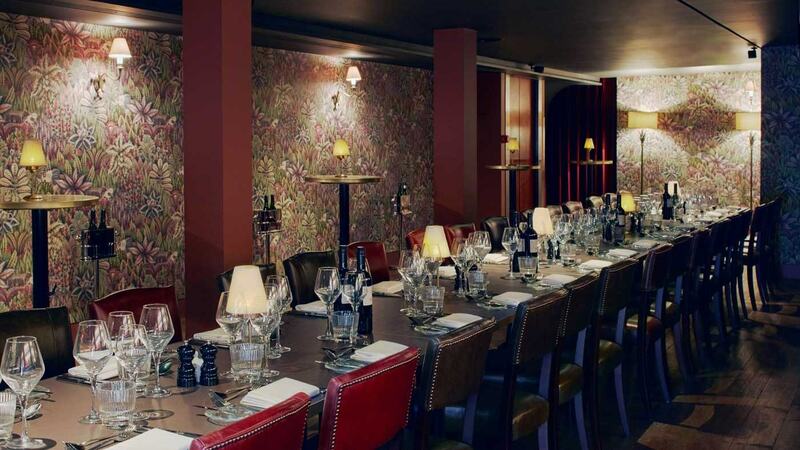 As for private dining options, Mews offers a distinguished space called the ‘Map Room.’ Not only does this room have an exquisite interior but it also boasts about its excellent service and great food. For reservations, send an email to info(@)mewsofmayfair.com or contact +44 (0)207 518 9388. The Director’s Observatory, The Archives, and The Grace Below – these are Grace Hall’s three private dining rooms. Due to the Director and Archives’ classic and elegant ambience, they are more fitted for occasions and corporate affairs. While The Grace Below is decorated like a private club which makes it perfect for private dinners and gatherings. For reservations, send an email to events(@)gracehalllondon.com or contact +44 (0)203 883 7256. The restaurant has been referred to as ‘a French gastronomic oasis in the heart of Soho’ and for good reason. Gauthier Soho offers one of the finest experiential dinners in the city which, according to them, is created by intuition and instinct. 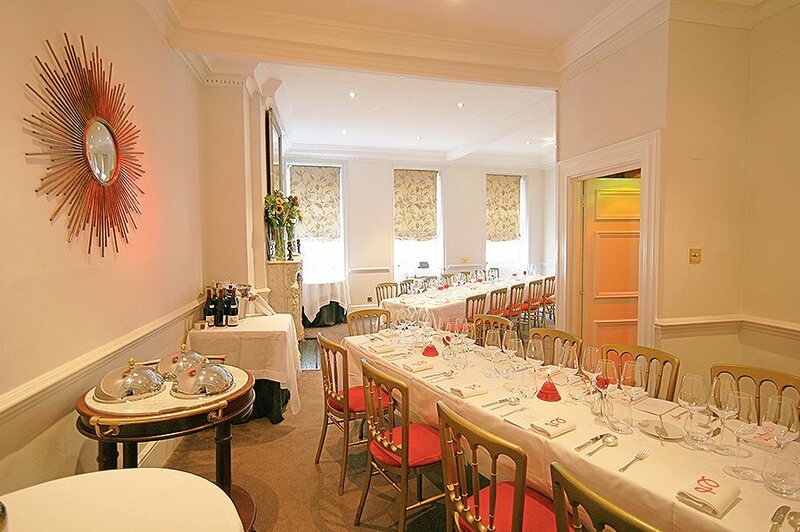 Its private room is called ‘Le Grand Salon’ and it’s an excellent venue choice for all types of events. From brunches or corporate meetings. For reservations, send an email to s.aiglon(@)gauthiersoho.co.uk or contact 0207 494 3111. Thanks to our five years of experience in the apparel-printing industry, we were able to design a platform catered towards the needs of event planners and brand managers who need efficient solutions. Printsome’s custom T-shirts are produced locally and from the best-quality garments. From the moment you get in touch, one of our printing experts in either Reading or Warrington will answer all of your questions and find efficient solutions to your needs. It is our mission to help you reach your goals.